At Private Client Wealth Advisors we provide a structured approach to help you identify and plan for your goals. We seek to give you the freedom to focus on the things that are most important. Let us help as your trusted advisor and fiduciary. Comprehensive planning allows our clients to go through a process designed to establish and confirm a proper estate plan. Simply drafting documents can provide financial confidence, insure assets are in the proper location and take into consideration your charitable and giving plans. As your co-fiduciary we seek to partner with our clients, consulting with you to help manage risk, create compliant plans, streamline process, promote retirement readiness and free up your time so you can focus on running your business. Capture your risk tolerance and see if your portfolio fits you. 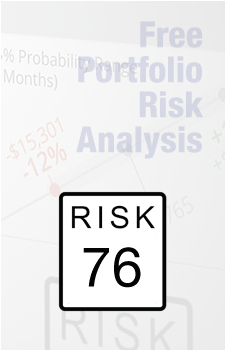 Click below to take your FREE risk analysis courtesy of Private Client Wealth Advisors. Our serve others mentality along with our legal status as a fiduciary require us to put our clients’ interests ahead of our own. We believe this approach is the key to a long term and successful relationship with our clients.